Shivji Jha: HTML 5 to the rescue !! Flas h was created during the PC era for PCs and mice. Flash is a successful business for Adobe, and we can understand why they want to push it beyond PCs. But the mobile era is about low power devices, touch interfaces and open web standards all areas where Flash falls short. 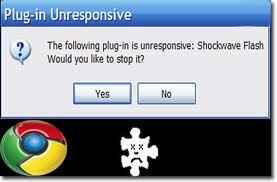 Flash is no longer necessary to watch video or consume any kind of web content." He also described Flash's performance and security as sub-standard and refused to allow Flash on the iOS due to the many bugs and crashes it experiences. 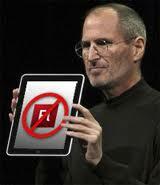 There is no Adobe Flash Player for iOS devices (iPhone, iPad and iPod Touch). Being in this part of the world it is not that evident but The iPhone accounts for more than 60% of global smartphone web traffic and the iPod touch makes up more than 95% of "mobile Internet device" traffic. This hurt Adobe's ability to market Flash as a ubiquitous mobile platform. Lately adobe flash seems to be completely out of flavour with the mobile version of Internet Explorer 8 for Windows Phone not supporting Flash. The IE9 web browser on Microsoft Windows Phone 7.5 ('Mango') does not support Flash either. I think I don’t need to explain why I dont like Chrome anymore . It pretty much forces to use Flash since it’s built in to the browser. But Google seems to have realised that :) for google has bet big on HTML 5 too. YouTube has offered users the option to opt into HTML5 beta for over a year now, which allows you to dispense with Flash when watching videos on the website.Unfortunately, YouTube still forces you to watch videos using its Flash-based player when it has ads in it, so you’ll often end up doing so despite being a member of the HTML5 beta, forcing you to resort to other, browser-based methods to get access to the HTML5 version of the video. However, the fact that YouTube is silently working on improving its HTML5 player signals good things for the technology. 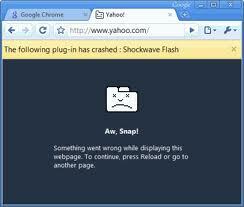 In simpler terms , Adobe is Stopping development on Flash Player for browsers on mobile. To add to that , In February 2012 Adobe announced: For Flash Player releases after 11.2, the Flash Player browser plugin for Linux will only be available via the "Pepper" API as part of the Google Chrome browser distribution and will no longer be available as a direct download from Adobe. Adobe will continue to provide security updates to non-Pepper distributions of Flash Player 11.2 on Linux for five years from its release. It seems that getting by without Flash is becoming easier. Many have embraced it, a few have discarded it as too far in the future, and some have abandoned a misused friend in favor of an old flame in preparation. Whatever side of the debate you’re on, you’ve most likely heard all the blogging chatter surrounding the “new hotness” that is HTML5. It’s everywhere, it’s coming, and you want to know everything you can before it’s old news. HTML5websites.net showcases websites from all over the world made with the HTML5 markup laungauge. Or if you belong to a developer community and want to know the nitty-gritty details , you may find some helpful content here. If analysts are to be believed, Adobe's move to ditch Flash Player for mobile browsers was smart. To me it occurs that Keeping Flash Player alive on the desktop will work for a while, but eventually it too will be supplanted by HTML5, With the large mobile and tablet market free of the already diminished influence of Flash, and with sites like YouTube and Vimeo going the Flash-free route, it’s a good bet that HTML5 will overtake the resource-heavy plugin on the desktop eventually, despite its current dominance. Microsoft, for one, has already said it will block the Flash Player plug-in from being installed on the touch edition of Internet Explorer 10 (IE10) within next year's Windows 8.What do you think, though? Could you live without Flash? Any corrections are welcome !! I would like to thank the anonymous reader for pointing out that I did not include the references !! The blog has been edited . You did not say "why is it better?" (apart from crashes and low power devices, btw why does it consume less power? ) , you just said, everyone will be using it in future, right ? 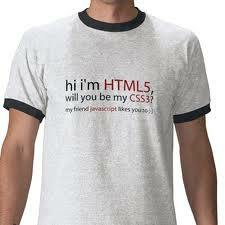 Why HTML 5 appear better ?? Ans : crashes , less power consumption , cross-platform existence , apple's lack of confidence with flash ,+ Google banking big on HTML gives me a lot of faith in HTML 5. With so much of support and backing , that too long before standardization , I think its a wise bet to vote in favour of HTML 5 . Our Google has CHANGED !!! But is it Evil ??? Inside Google - An introduction !!! The golden age of TECHNOLOGY !! !